Errant bosses who delay or default on making contributions to their workers' Central Provident Fund (CPF) accounts will now face stiffer fines and jail time. Parliament yesterday passed the CPF (Amendment) Bill which introduced for the first time minimum fines and jail terms for these offences. While MPs supported the tougher penalties, some worried about the impact on firms that make genuine mistakes and whether CPF officers might abuse the new, wider powers. The stiffer punishments "will ensure that the penalties have a stronger deterrent effect on recalcitrant employers", said Acting Manpower Minister Tan Chuan-Jin. With the changes, first-time offenders can be jailed up to six months or fined up to $5,000, or both. The minimum fine will be $1,000. Repeat offenders may be jailed up to 12 months or fined, or both. A minimum fine of $2,000 will be imposed and the maximum fine stays at $10,000. Besides tougher punishment handed out by the courts, the composition fines, which are imposed by the Manpower Ministry (MOM) for firms not hauled to court, will also double from $500 to $1,000 for each offence. The tougher penalties come after the CPF Board recovered a staggering $293 million in arrears owed to more than 200,000 workers last year. Besides penalties, CPF enforcement officers will also get wider powers to investigate complaints, including ordering firms that are not the workers' employers to turn over documents. Several of the seven MPs who spoke on the changes to the law welcomed the heftier punishment. Mr Zainudin Nordin (Bishan-Toa Payoh GRC) said that the CPF has been "around for years" and firms cannot plead ignorance. "I would further request the CPF Board to name and shame the recalcitrant employers and even blacklist them from becoming future employers," said the chairman of the Government Parliamentary Committee for Manpower. But nominated MP Laurence Lien was worried about firms that made genuine mistakes. The CPF Act should "differentiate between the act of wilful withholding and the act of negligence or honest mistakes on the part of employers", he said. Responding, Mr Tan assured Mr Lien that not all firms will be charged in court. The MOM takes a "calibrated approach" and firms are allowed to correct their mistakes. 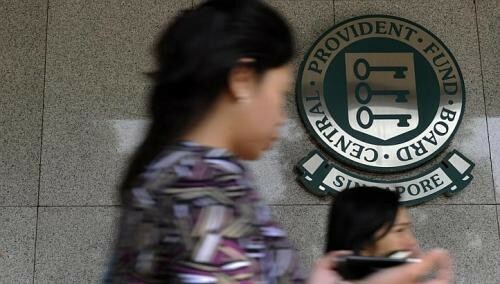 "Prosecution is not meant to be the first resort in recovering CPF," he said. He also assured the House that the inspectors will not abuse their wider power. They will only request documents related to investigations and are bound by law and "a strict internal code of conduct" on how they handle the information. The authorities will also step up outreach to both workers and firms. "We're open to ideas on how best to do it, to inform employees about their basic rights and educate employers about their legal obligations," Mr Tan said.